Regardless if you are looking for a teething device or a full blown oral motor chew this product is up to the challenge. 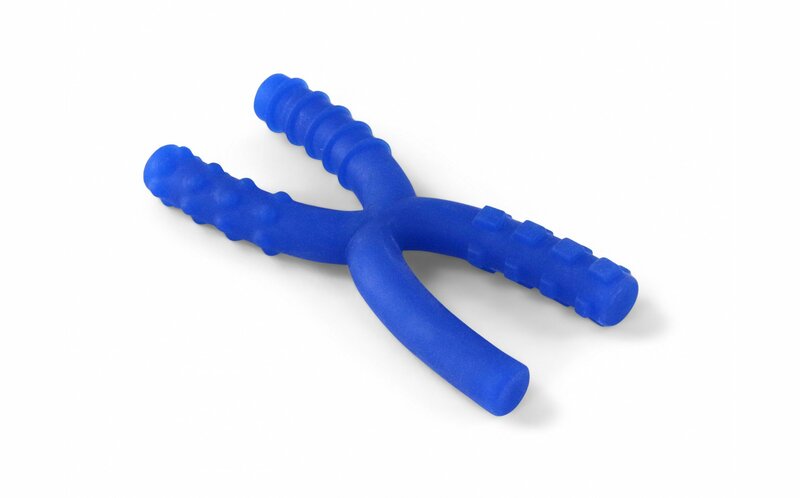 Due to its multiple textures, the revolutionary Chew Stixx Reach offers alternating stimulation which encourages children to explore different food textures as well as giving children who seek stimulation through oral grinding a safe place to chew. The patent pending design of the Chew Stixx Reach is the first product to offer full oral cavity stimulation on both sides of the mouth at the same time. The warped design of the Reach allows its user to chew using two rows of teeth at a time or all four rows of teeth simultaneously. This technology is useful for the lightest level of oral sensory seekers all the way to the heaviest of grinders. 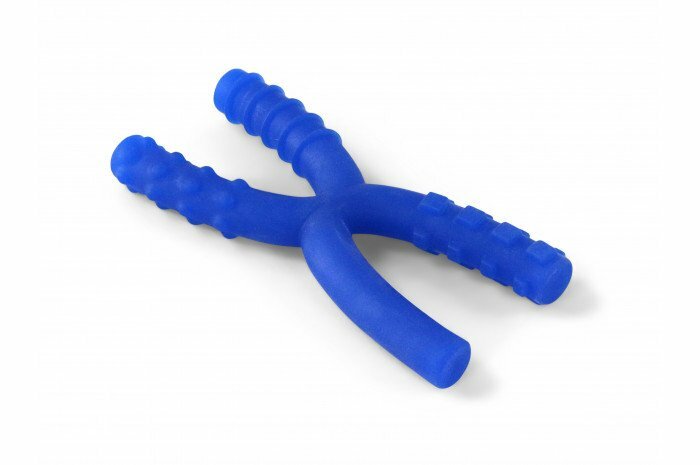 Chew Stixx Reach is also used for jaw rehab patients, stroke victims, brain injuries, etc. Chew Stixx Reach constructed from a completely FDA approved, BP, and Phthalate free material.